A wand is used for directing energy and anything to do with working with the element of fire, although not for lighting candles or sticking into the wood burner. 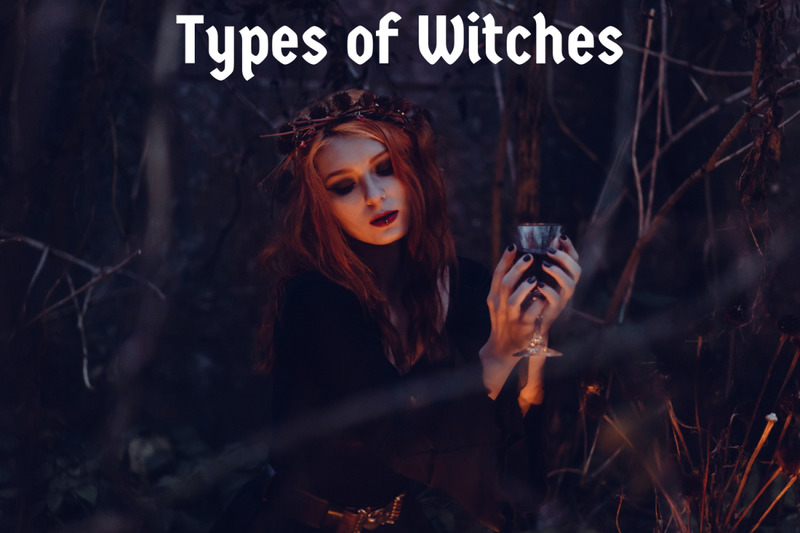 It is a basic tool for a witch, and you can get one for free. It’s a good idea to make your own wand because you will be putting your own personal energy into it. Plus you'll know its provenance. In other words, you will be certain it is ethically sourced and hasn’t come from a threatened environment. Also, have you seen the prices for ready-made, off-the-shelf wands? Diagon Alley has a lot of competition these days. You can go out into the woods, or even a park, and look for a suitable stick to make a wand. You might find the perfect weathered wand on a beach as driftwood. Twigs which have fallen off trees aren’t usually very good as they are already in the process of decomposing, and they were obviously quite weak in the first place to be blown off in a storm, so look for a healthy tree and select a young branch carefully. First though, do a little research on what wood is best for your wand. There is nothing preventing you having a small collection of wands for various types of magickal work. Here are examples of the properties of some common trees. Ash, Fraxinus excelsior, is related to the Rowan, and like the Rowan is related to movement. It is the tree of the shape-shifter. It’s flexible and adaptable. Ash grows fast and its seedlings root everywhere, so it’s tenacious. Use Ash for transformational work and self-improvement. Birch, Betula Pendula, has feminine energy and has healing power. Boiled, mashed birch wood was used to heal bruises and cuts. It calms and soothes, so is good for peaceful, gentle magickal work. Use a birch wand for healing spells, for calming situations, and for requesting a peaceful solution. Crab Apple, Malus Sylvestris, will provide twisted, gnarly wands. Apple, of course, is the tree of knowing and wisdom. Cut an apple crosswise and the seeds form a five-pointed star. Apples, the fruit and the wood, are extremely useful to witchcraft. Use an apple wand whenever you need guidance, want to know the truth, or as a general all-round wand. Ivy, Hedera Helix, is not strictly a tree, but aged and thickened ivy stems carefully removed from a fallen tree make beautiful wands. Ivy holds the energy of exchange, so is useful in any work where you want to sell something, or make any kind of bargain or exchange. 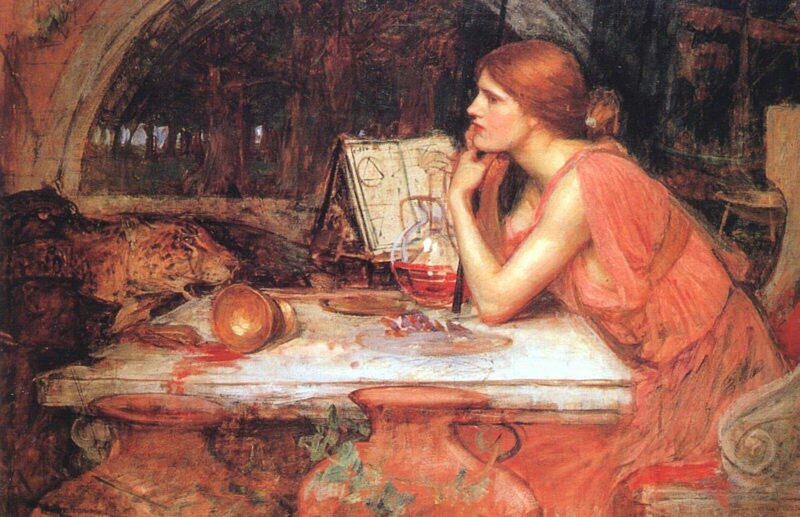 Ivy also offers protection to insects and small animals and therefore is useful in protection and binding spells. Rowan or Mountain Ash, Sorbus aucuparia, is native to the British Isles. There is a closely related American species, Sorbus Americana. The Mountain Ash is the ‘coming or going’ tree, so is ideal for any magical work where there is a journey involved. It’s also a ‘portal tree’, therefore when you want to undertake a guided visualization, keep your Mountain Ash wand close by. 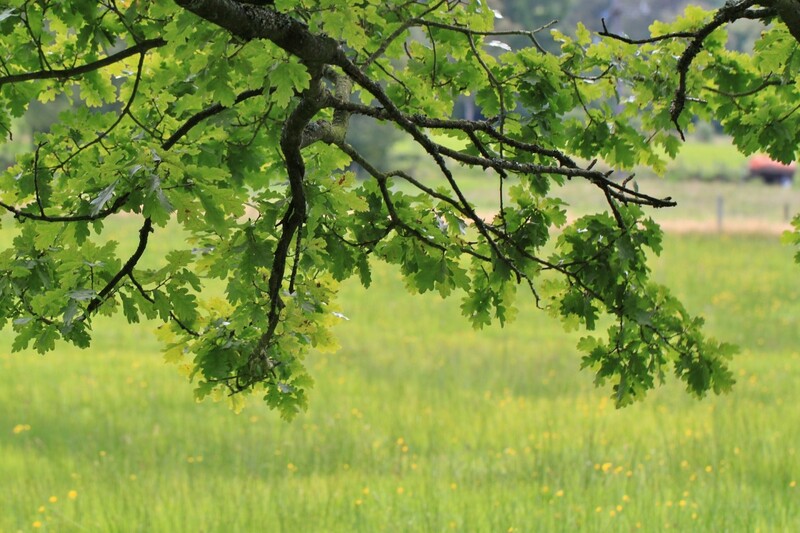 Oak, Quercus robur, has a strong, masculine energy and is also good for healing and protection. It makes a good wand for intensely focussed work. Oak is long-lasting and durable. It has permanency and therefore it’s a good all-rounder. Oak is so steeped in tradition and surrounded by fascinating facts; I encourage you to research it in detail. If you only choose to use one wand, make it oak. Choose an auspicious time to harvest your wand. During the waxing moon period is best. Before noon is also a good time as the Sun is still rising. Think expansion and growth for maximum energy. You must never damage a tree, so be circumspect. A little pruning never did any harm, but please be cautious. Never, ever harvest from a protected tree. The best time to cut your stick is during the active growing season when the tree’s energy is being pushed into it. Some will tell you to wait until pruning season, but it makes very little difference to the tree. The best wands are around 12”—15” long. Not too thin or too thick. Interesting markings and imperfections are desirable, but not necessary. A good guideline is to find a stick that’s about the same diameter as your middle finger or just a little thicker at the base; the part you’ll be holding. It’s fine if it’s not perfectly straight, but obviously you don’t want one that has a right-angled joint in the middle of it. Slightly twisty and gnarly is good. Spend a little time, before you cut it. Ask the tree for permission. Use a sharp knife or hacksaw, and make a clean cut. Place your hand over the wound and direct healing energy into it. There is no need to dress the wound with anything. Thank the tree. Make the experience into a small, personal ritual and leave an offering of nuts, or similar, suitable food for the birds, mice, squirrels, etc. at the base of the tree or on a level branch. If you found the perfect piece of driftwood, there’s not much to do. Sand off any sharp bits. If you like you can wrap wire around a small quartz crystal and attach it to the pointy end. It’s not necessary unless you feel it adds to the power of the wand. Mine is just as I found it. If you are working with green wood, then it will take a little more time. 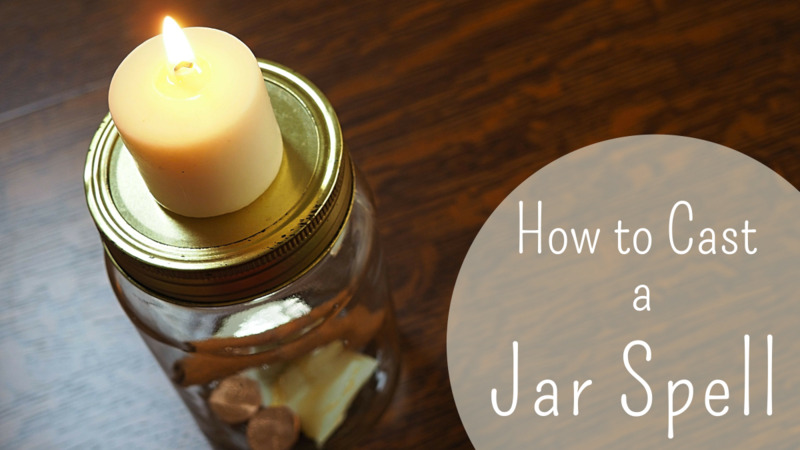 Strip the bark off and place the wand in a warm, dry place to season. This will take as long as it takes, usually around a month. Tell your mother not to throw out the stick languishing in her airing cupboard (UK), hotpress (Ireland), some warm place in the house (US). Some people prefer not to strip the bark at all, and that’s okay. You can remember what variety of tree it came from, and it keeps all its character and energy intact. Be prepared that some kinds of wood will shed bark as it dries and the older it gets. Sand off any sharp bits, including the ends. For me, this is sufficient. I don’t need to do anything more except use the wand. However, you can do a lot more to your wand to personalize it and make it even more powerful and beautiful. Oil it with tung oil to bring out the natural beauty of the wood. 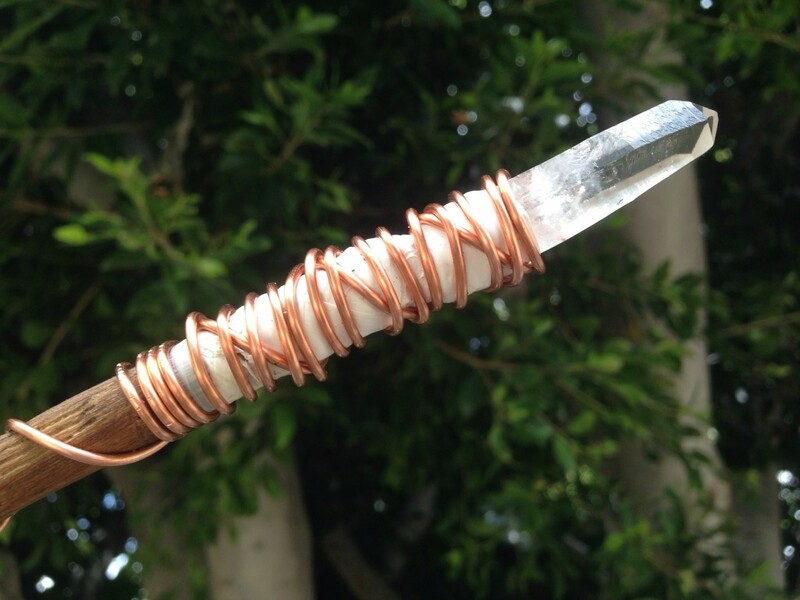 Attach a crystal by wire-wrapping it with copper or silver wire. Wrap strip leather around the holding end. Carve or burn runes or other symbols into the shaft of the wand. The wand is not magical in itself, it is simply and extension of your energy, power and intent. It helps you to direct your intention. It’s your wand, no-one else’s. It’s personal, so while it doesn’t harm it if someone touches it, you don’t want them doing so for too long. Never let anyone use your wand for magickal work. You can have more than one wand for different kinds of spells. When not in use, either wrap your wand in natural silk or cotton, or place it in a wooden box, or, if you have several wands, place them on display in a vase but be aware they will absorb the energies around them, so a quick cleansing by passing them through incense smoke before use is always a good idea. 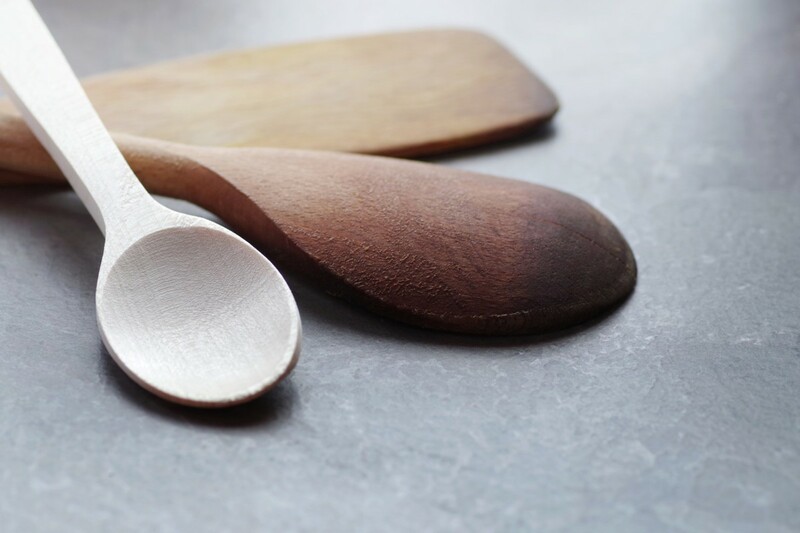 In a magickal emergency, you can quickly bless and use a well-loved wooden spoon. May your wand provide good service for many years. I have wood from where lightning hit a tree. You said the wand conducts energy, and you bless it with the element of fire. Will the lightning woodwork for a wand? I saw the lightning hit the tree and it was magnificent. It will be perfect. Do you know what kind of tree it is? It's good to know what the magickal properties it might hold. I felt it important to have a hazel wand but no trees grow around here. I was able to order a hazel stick I can carve by picking out from a picture. Will that still have the personal energy I wanted? Yes, absolutely. By customizing it, working on it, polishing it, etc. you will be putting your own energy into it. I have a wand that smells like anise. What type of wood would that be? Would it work if I put a leather wrapping around the base to hold on to, or will it just interfere with the energy going into the wand? I'm not sure what wood that would be. I've done a quick search, but nothing turned up. Of course, it could be from the anise shrub itself. Or, if you purchased it, the wood could have been oiled. It's fine to wrap the base with leather. The purpose of the wand is to help you focus your intention and raise your energy levels. In itself, it's not magical. What about a mesquite tree for a witch's wand? All you need to do if you're unsure whether a particular wood is suitable is research its properties. Search for "magical properties of mesquite". Or whatever wood you are thinking of using. Mesquite is supposed to help with creativity, visions, and the imagination, so it sounds good to me. 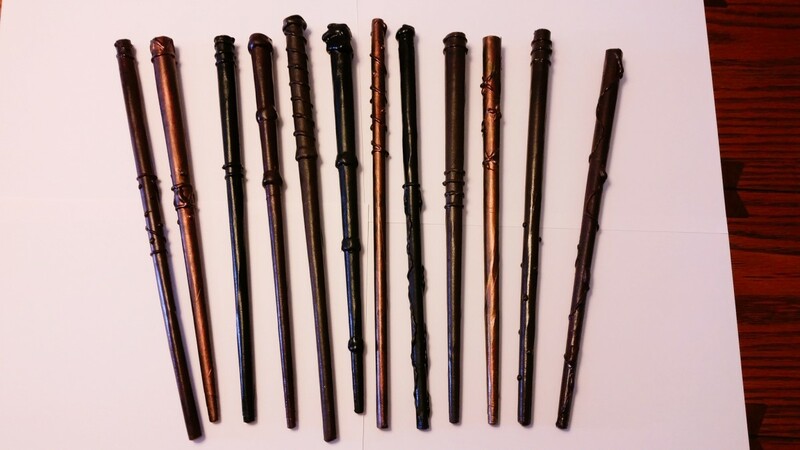 What trees would be bad to use for making a wand? I have a beautiful Maple tree in my yard, will that work for a wand? "Maple is feminine in nature and associated with the moon and Jupiter and the elemental energies of water. Maple is useful in moon magic and in spells related to travel, learning and decision-making, especially in matters related bringing about or dealing with change. Maple is also useful for spiritual healing." Will a tigers eye work for a wands' top stone? You can use any stone (or none) that resonates with you. Tigers eye is renowned for enhancing clairvoyance and strengthening the intuition. It's also excellent for helping develop your perception and to deepen your knowledge. Is it safe to use eucalyptus wood? I am Australian and would love a way to remember my homeland. I am worried about the constant use of eucalyptus and if it may affect my health. This is also my first wand, and I am just starting out as a Wiccan! Eucalyptus has healing properties, so I'm sure it would be safe - and even beneficial - to use as a wand (as long as you aren't allergic to it). Using it to reconnect with Australia is a great way of imbuing it with more energy. Would the wood of a Japanese Magnolia tree work nicely? I have one that grows in my backyard, and it's truly beautiful. Yes, it would. The magical properties of your tree are: age-old wisdom, moon magic, feminine power, and stress relief. Would Crepe Myrtle be a good choice for a wand or maypole? How about using pine to make a wand for witches? I'm pretty sure that's what my driftwood piece is, but I'm not sure. If you aren't sure what the wood is, it doesn't matter in the least. Polish it up, use it, and make it your own. It will soon take its energy from you. I have bought a wand and it is made with clay infused with herbs. Will it still work like a normal wand? Can I take the wood from neem tree or any other tree to make a wand? Would lime tree wood be a good wand crafting material? What about the Jacaranda tree for making a wand? I saw an article that said it would promote beauty, healing, music, scholastic success, and wealth. Tess Whitehead's page. Yes, that's right. Perfect for a wand. I have a wand made of birch and with an amethyst and pheasant feather. What spells do you think it would be best with? Your wand holds a light, feminine energy. However, that doesn't mean it is any less powerful. It will be excellent for healing, both physical and emotional. Having said that, I expect you can use it for anything you want. Can I use an athame as a wand? I feel more connected my athame than my wand. Yes, it's about whatever works best for you. As far as elemental correlation is concerned, some people think that wands = fire, and swords = air. But others feel it's the other way round; swords (knives, athames) being forged in fire. Do you have to make your own wand to be a witch? No, you don't. But the point of the article is that a home-made wand is more personal to you. I have these beautiful ebony hair sticks, however they are quite short. Would I be able to piece them together or does a wand need to be one continuous stick? Would wood from a pecan tree suffice for a proper wand? Does making your own wand work, like in Harry Potter? What magical properties would willow have if I made a wand from it? The tree in my front yard is a willow. 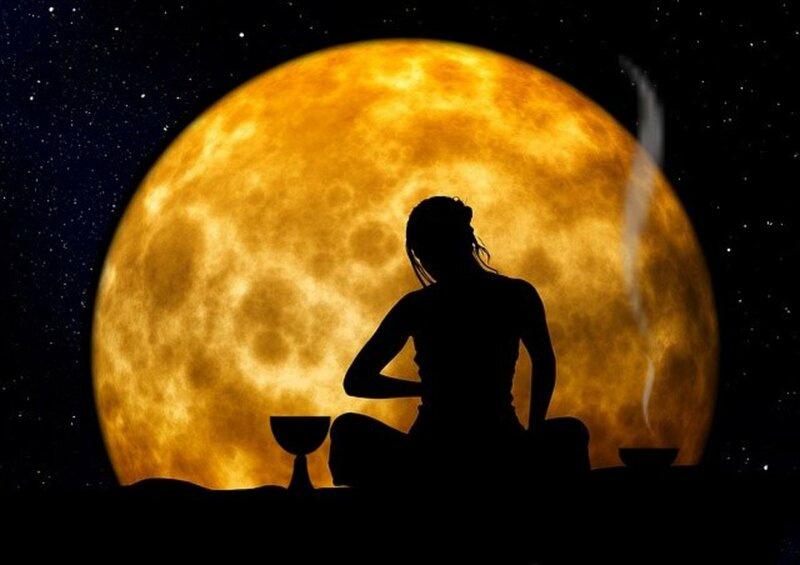 Willow has feminine energy and is connected to the moon. That makes it ideal for moon magic, i.e. 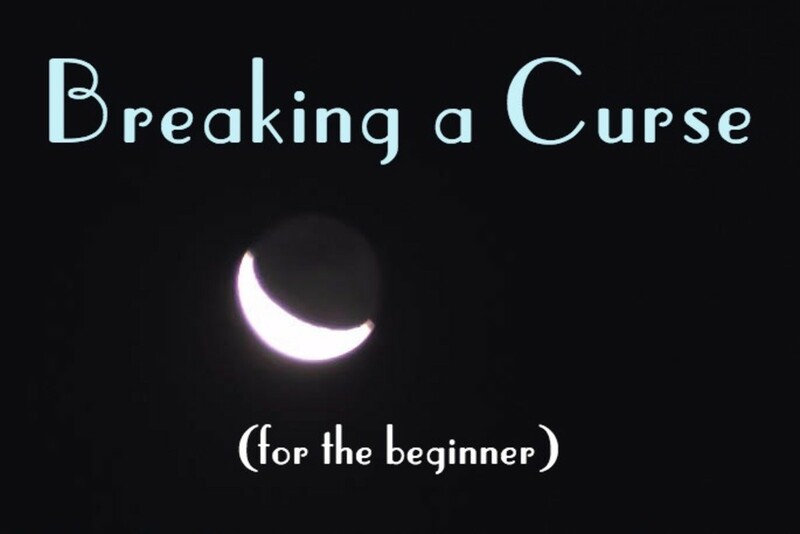 working with moon cycles. It's also good for inspiration, creativity, love, and healing. What if I don’t have a crystal? Adding a crystal to your wand is completely optional. If you want to add a small stone or rock, you can. Or not. Mine is completely plain. Would a bougainvillea stick make a witch’s wand? Bougainvillea is an excellent choice. The flower has properties that include passion, cleansing, and beauty. I would think that a wand made of bougainvillea wood would also have these qualities. A servitor is basically a concentration of energy that people who practice chaos magick use to achieve their aims. Try adapting the spell on this page. 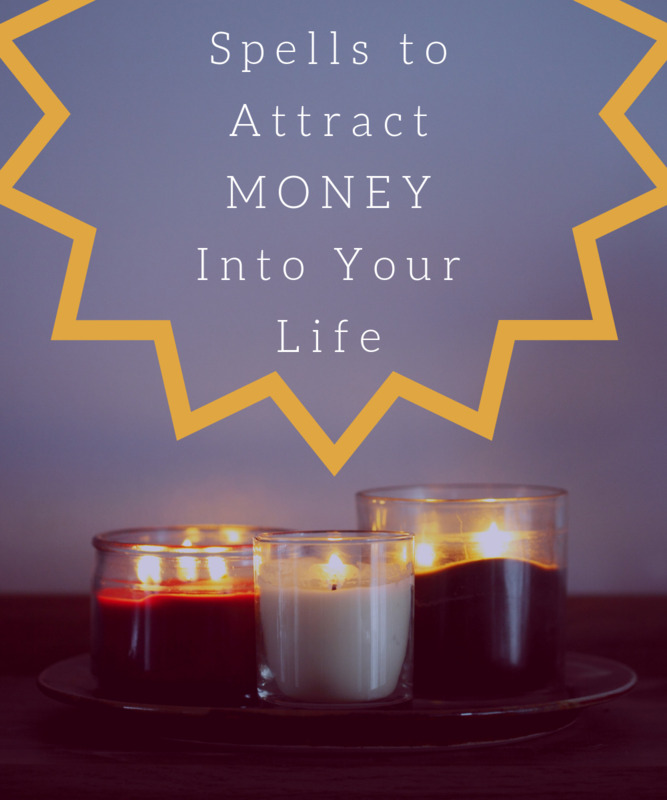 It's a basic structure that you can work with to bring your desire. OK :) If you are talking about servitors, then be very careful, yes? Local animal shelter? You might have to be the one doing the finding. You don't need a spell, just set your intention. Write down the qualities you'd like in your pet. Fold it up and put it away. Remain open to whatever comes, but at the same time, you also keep your eyes and ears open. Someone might know someone else who's looking to rehome a special being. Hi Cameron, Staghorn sumac is fine. Also could I make it out of a staghorn sumac branch? Yes, absolutely. Make sure they haven't started to go soft though. Dead branches are usually weak. Would you be able to use branches/sticks that have already came off of the tree? Why would you want to do harm? Don't you understand how it works? Yew is an excellent choice. There's a lot of information about it out there because it is so ancient. If I were you, I'd make it part of my study to examine its properties and then marry them up with an appropriate crystal. Actually yew is so powerful, it doesn't need any enhancements. I really enjoy this article. I'm planning on using yew to make my wand. What do you think of yew and what crystals would go well with it? Thank you! You can embellish your wand any way you like, Ryan. 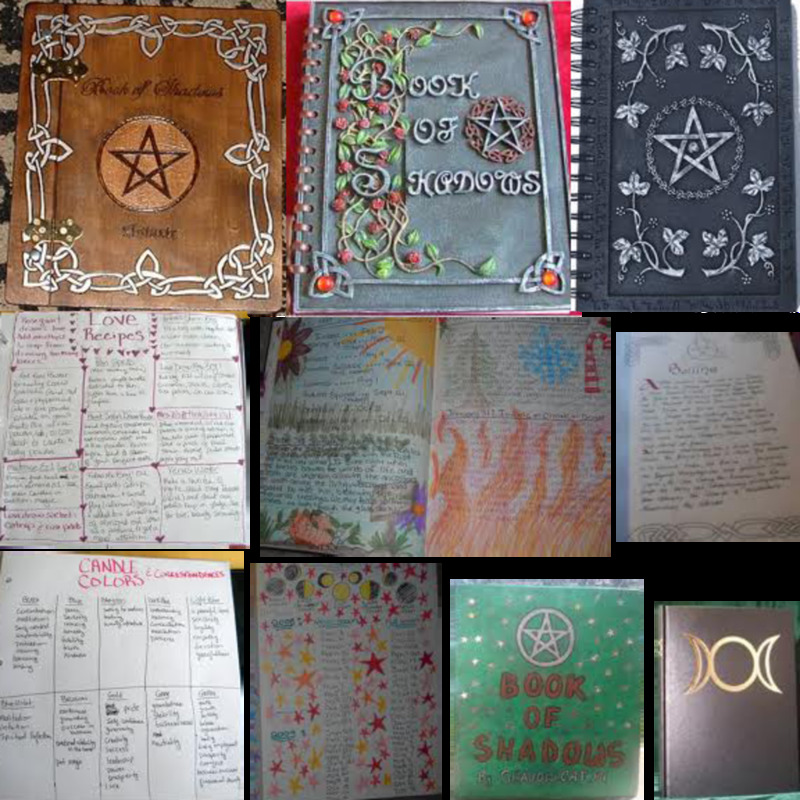 I would suggest you research the magical qualities of any materials you want to use. So could you also use gold leaf with silver or copper wire? Perfect, ,Marc. I have a firethorn guarding our property. I found a firethorn ( Species: spinosa) someone killed and threw in a field. I harvested a 15" piece , thanked it and turned it into a wand . I cleaned and carved it to my liking. It has some copper wire around the handle but that's it really. Whatever works best for the materials you are using, Kate. It has to work for both porous (wood) and non-porous (crystal) so check the specification on the product. I am in the UK so our brands are different to everywhere else. You should bind it with wire, if you can, Alicia. Have a look for crystal tipped wands on Pinterest. Otherwise, you can hollow out the tip of the wand and use a strong glue to keep the crystal in place. how would I glue my crystal to my wand? You can add whatever you like, though it is better if it has meaning and significance to you. I prefer to use pebbles and stones that I find, but you can buy crystals from many places both online and offline, including Amazon. can i put a feather of some bird to the end of the wand? And also where would i find crystals? If they resonate with you, Lacey, then use them. They are of the earth. No negativity attached at all. I have sedimentary stones from the beach that I was named for. I feel a strong connection to these stones but some websites warn against using dull sedimentary stones. If I feel the connection, can I use them? Hi Cats, I wouldn't bother putting anything on it. Plastic should be avoided. I'm new to magic and not sure about a lot. Can I put an artificial (plastic) gemstone at the base of my wand, or does it drain the wand's energy? Or maybe a glassy marble? Interesting. I never thought of how witches got their wands. In stories, wands seem to have innate power but it must be a lot safer if it is just an extension of you.